The effects of chronic opiate addiction take a considerable toll on a person’s physical and psychological well-being. It’s not uncommon for people struggling with severe addiction problems to also be dealing with full-blown psychological disorders. When addiction and mental illness co-exist, these conditions are known as dual diagnosis, or co-occurring disorders. Recovering from opiate addiction by itself can be challenging for even the most determined of individuals. 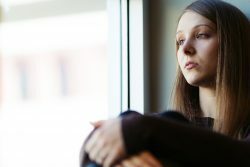 When mental illness enters the picture, the recovery process becomes that much more difficult since a person is dealing with two mental disorders as opposed to just one. Under these conditions, opiate addiction treatment programs must be able to treat both the addiction and the psychological disorder in order for a person to have any chance at a successful recovery outcome. Please feel free to call our toll-free helpline at 800-429-5210 to ask about dual diagnosis treatment program options. According to the Substance Abuse & Mental Health Services Administration, an estimated 7.9 million Americans struggled with co-occurring disorders in 2014. As addiction and psychological disorder tend to feed off one another, having one condition automatically increases the risk of developing the other. Opiates have a debilitating effect on the brain’s chemical system and overall functional capacity. These effects only grow worse with time. The end result leaves users with persistent brain chemical imbalances that ultimately work to reinforce drug-using behavior. Psychological disorder works in much the same way as opiate addiction as far as brain chemical imbalances go. Consequently, addiction and mental illness only work to reinforce one another, making both disorders more severe over time. Opiate addiction and mental illness feed off one another, making intensive treatment a necessity. The integrated treatment approach, also known as Integrated Dual Disorder Treatment or IDDT, combines addiction and mental health treatment services together, according to Case Western Reserve University. In effect, IDDT uses a coordinated approach that’s designed to manage the symptoms of both disorders at the same time rather than treating the two conditions separately. Also, integrated treatment enables rehab programs to address the individual treatment needs of each person as opposed to using a one-size-fits-all treatment approach. Opiate addiction and psychological disorder both breed destructive thinking and behavior patterns. These patterns only work to worsen the severity of both conditions over time. In effect, behavior-based therapies equip you with the skills and tools needed to build a drug-free lifestyle. More often than not, dual diagnosis conditions borne of opiate addiction leave behind brain chemical imbalances. Brain chemical imbalances essentially leave a person unable to move forward in recovery without some form of medical treatment. Medication therapies can work wonders in helping a person feel better about him or herself and from there, become fully engaged in the treatment process. If you need help finding a program that treats both opiate addiction and mental illness, we can help. Call our helpline at 800-429-5210 to speak with one of our addiction specialists. Is My Opium Dependence Killing Me? - Opium abuse takes a toll on your physical and psychological health, and often requires professional treatment.